Cornish born Janice Glew is a full-time working artist. A change of career in 1999 led her to take a BA Honours Degree in Fine Art at the De Montfort University. This was closely followed by a Fine Art Masters Degree at Lincoln University, graduating in 2004. 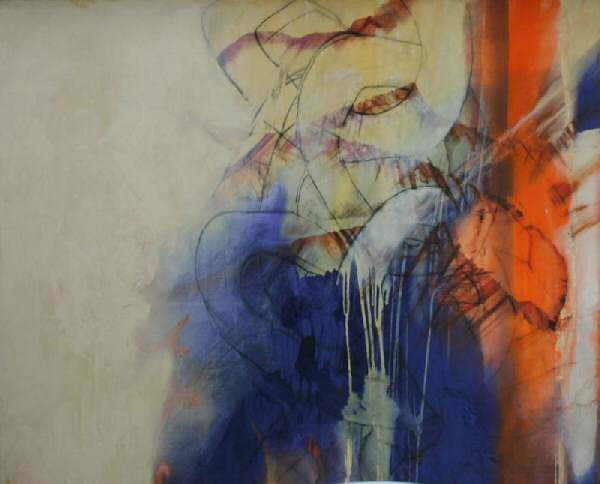 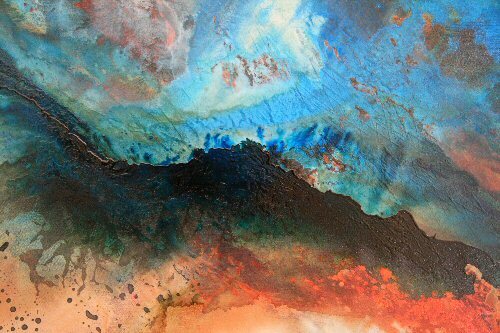 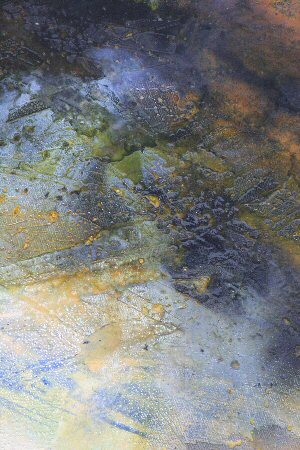 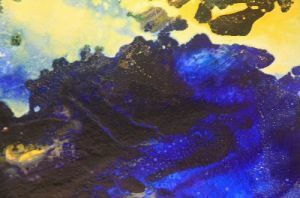 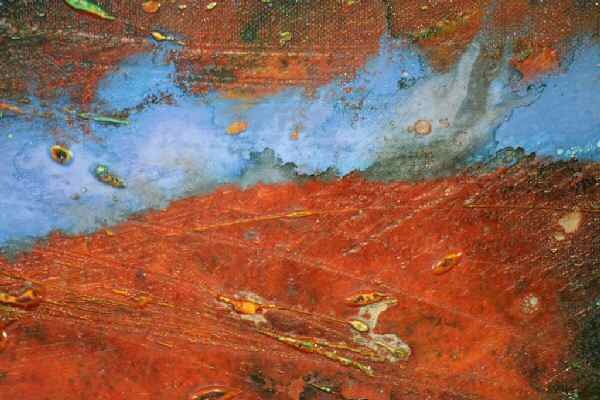 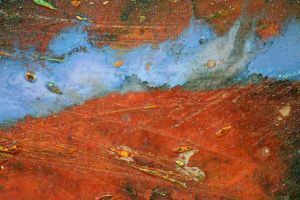 Janice’s mixed media paintings are directly influenced by the energies of the land and the sea. 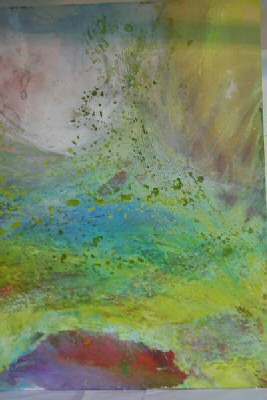 Limpid water stirred by a vigorous swell into shards of translucent jade, indigo and creamy froth. 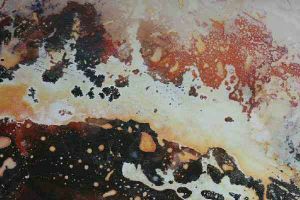 The rumble and hiss of waves careering up a sandy shore, the thundering roar of breakers hitting dark rocky outcrops. 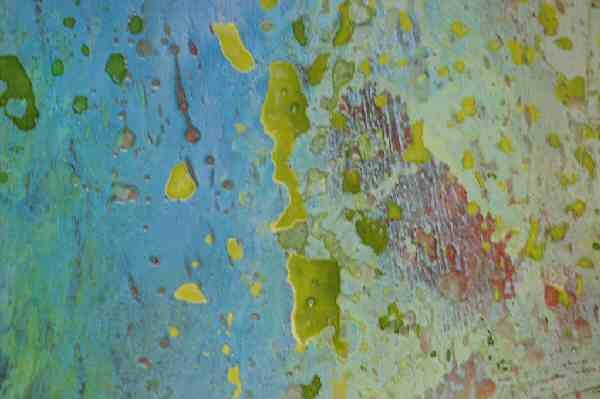 Diamond bright sunlight glittering on an open sea. 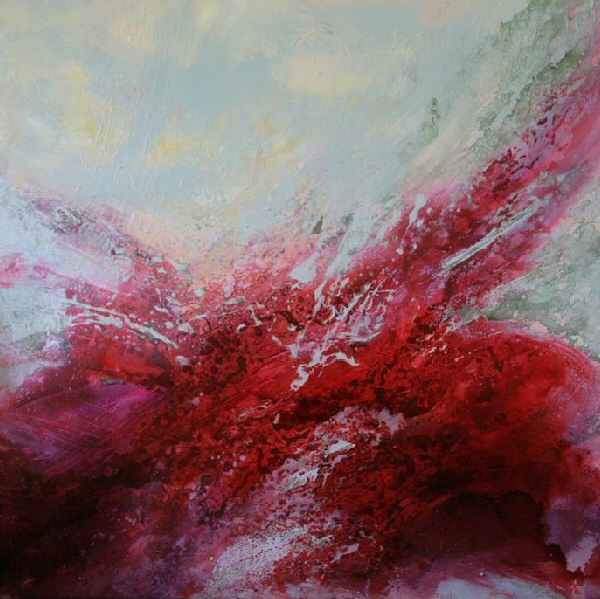 A stiff breeze whisking spume into imaginary horses, galloping and plunging. Peaks and troughs, stirred by the breath of the sea, creating an ever moving ocean. John has spent his adult life in an engineering environment and when retirement beckoned he saw this as the chance to fulfill his ambition of working alongside Janice, as an artist in his own right. 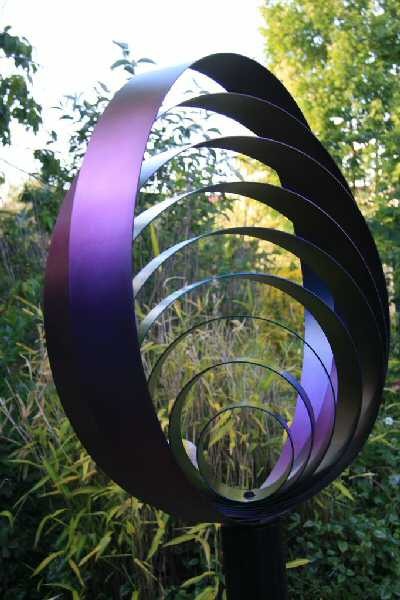 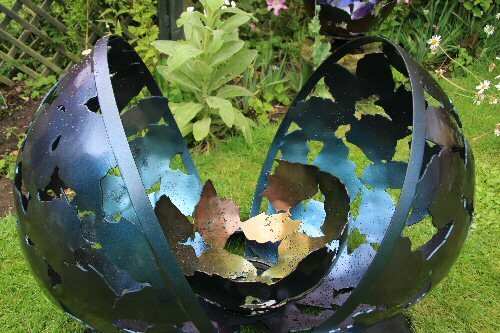 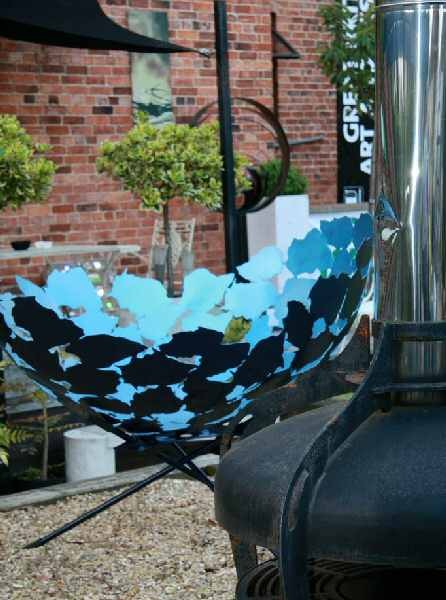 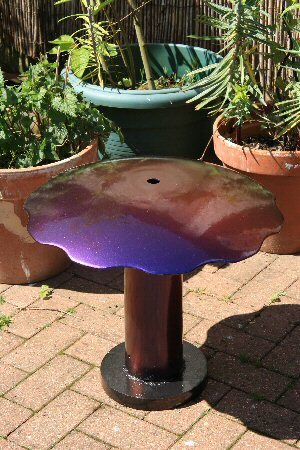 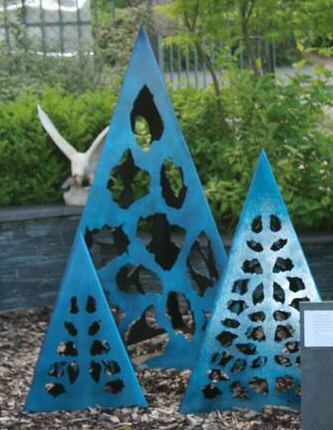 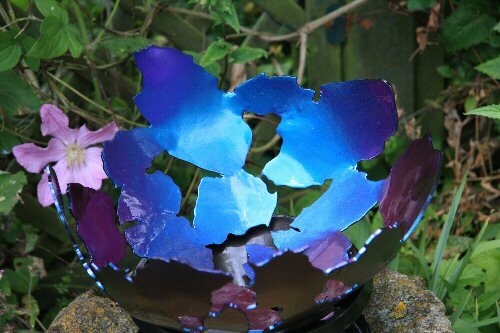 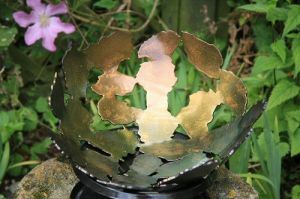 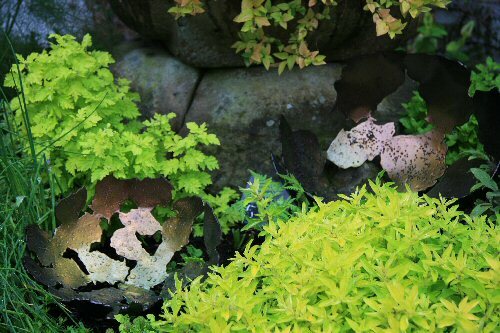 Examples of his stunning metal garden sculptures can be seen in the John Glew Metal Garden Sculptures gallery above. 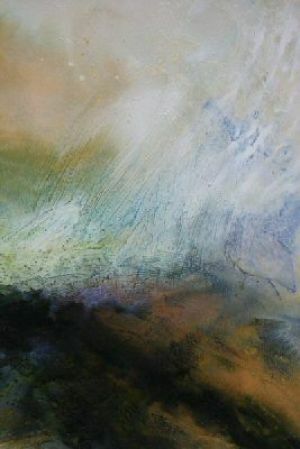 Please contact us for further information about the work of Janice Glew and current exhibitions.